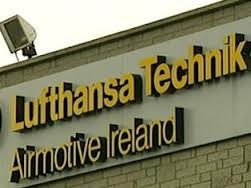 “Starting on Monday, the focus of Unite and the other unions at Lufthansa Technik will be on exploring all possible avenues to secure the future of the plant as it currently stands, or – failing that – to secure the future of Lufthansa Technik Automative with a reduced workforce. We are assuming that the company will engage in constructive and meaningful negotiations to that end. “If, despite all efforts by both unions and management to secure the future of these jobs, it is decided that closure is inevitable, we will re-commence consultations with a view to securing the best possible outcome for the workers, not only in terms of a redundancy package, but also in terms of securing workers’ pension entitlements”, Mr Quigley said. This entry was posted in Press Releases, Republic of Ireland news, Uncategorized and tagged jobs, Lufthansa, Unite, Willie Quigley. Bookmark the permalink.